Steven M. Watts, (click his name to see a photo of Steve), the Master of all things related to classic camping, traditional camping and woodcraft, recently released his “Kamp Kephart” workshop schedule for 2016. 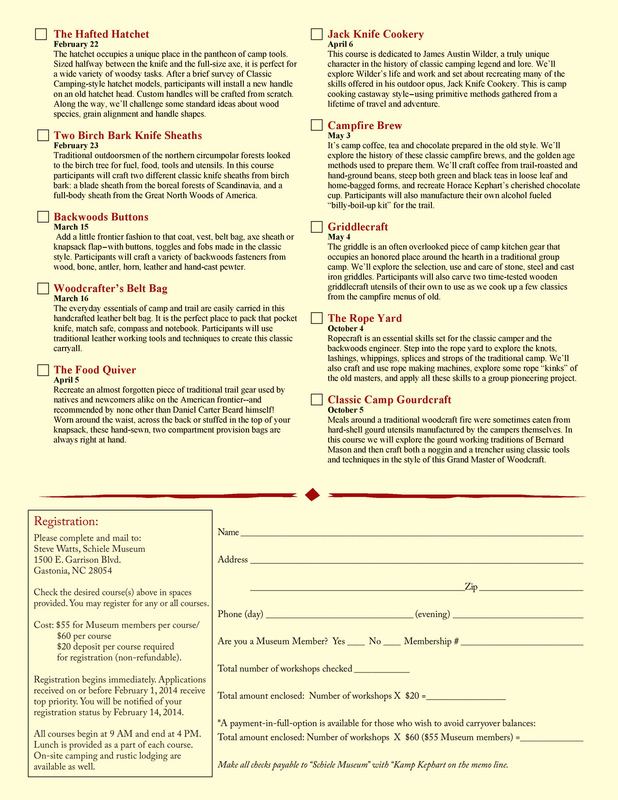 Sadly, I’m already quite late in posting this notice as I have been informed that the February 27th/28th Workshops – Nessmuk’s KIt Bag & The Aleut Pack Harness and the October 2nd Workshop – The Woodsman’s Bag are already full! Click here if you would like to download the flyer. Steve notes that he is still accepting registrations on the other courses. 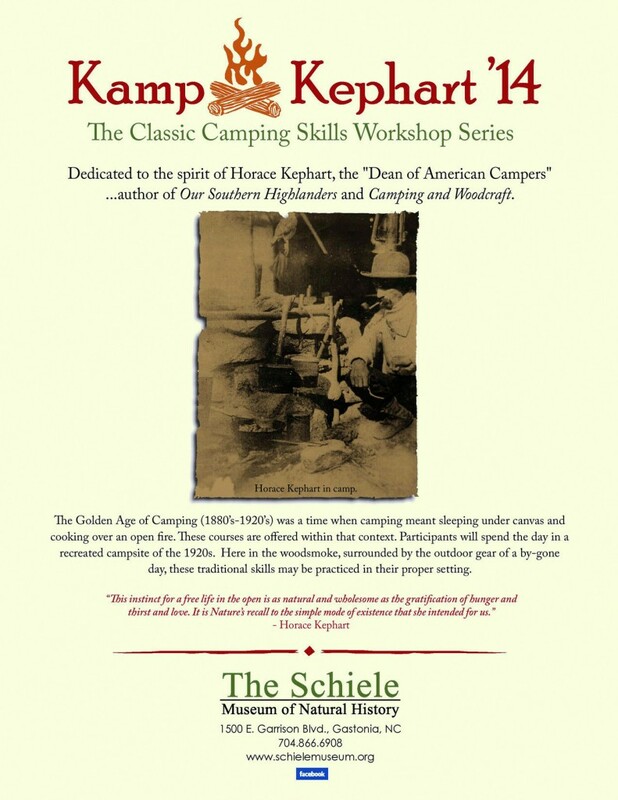 If you want to develop your classic camping skills, don’t miss this opportunity to take one or more of these workshops! 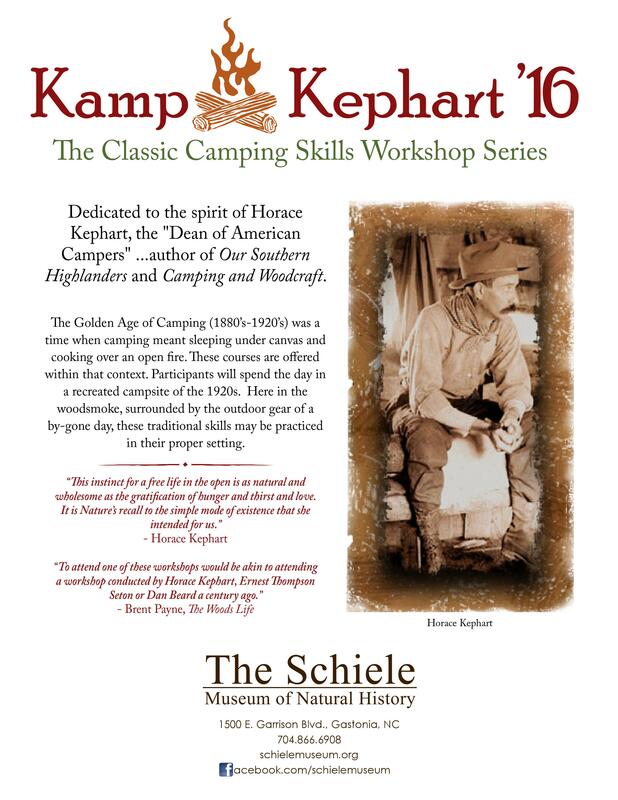 Classic camper and woodcraft mentor and friend Steve Watts has released the schedule for the Kamp Kephart series of skill workshops for 2014. 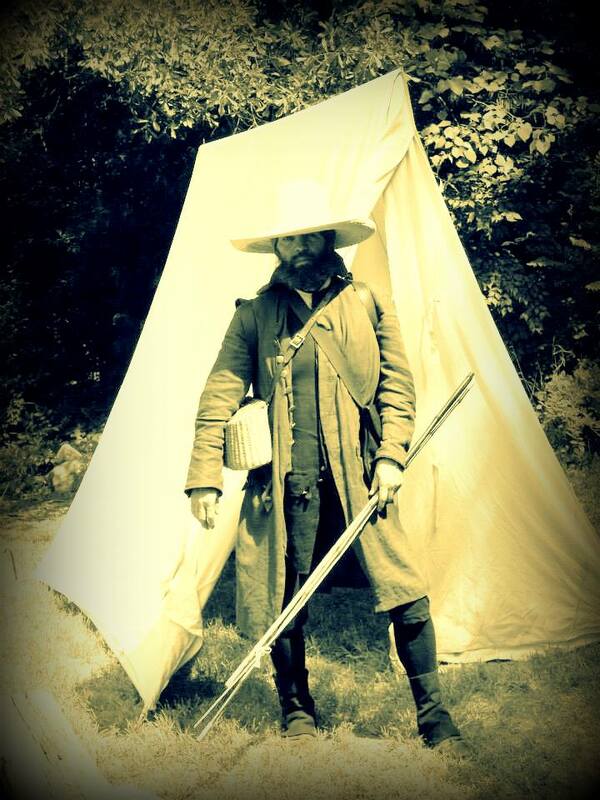 If you live near Gastonia, NC or can make it out there – DO NOT miss the opportunity to learn from a Master woodsman. 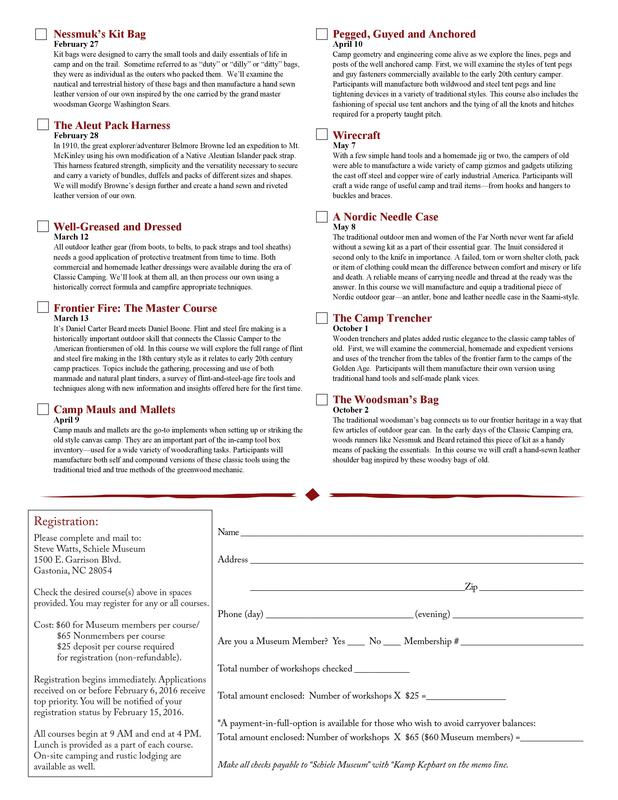 As you may know, Steve and David Wescott are working on an up-to-date series of traditional camping “how-to” books. Called the “Classic Camping” series, the first of seven planned books are currently in the works. To attend one of these workshops would be akin to attending a workshop conducted by Horace Kephart, Ernest Thompson Seton or Dan Beard a century ago. Oh – if I lived close enough to attend!